Do you want a workout that’s fast, fun and can be done from the comfort of your own home? If so, I’d like to tell you about the FXP Fitness Hula Hoop. Officially licensed from Wham-O, the FXP Fitness Hula Hoop is the world’s first portable exercise hula hoop. Weighing 2lbs and measuring 41” in diameter, this Hula Hoop is ideal for beginners as well as ninjas – in other words, all fitness levels. When using it, you can burn up to 800 calories per hour! 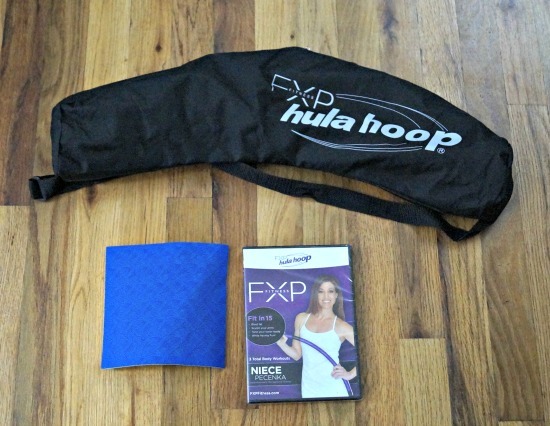 For this review, I received the FXP Starter Kit which includes the FXP Hula Hoop with carrying bag, a workout DVD and a 6″ x 6″ non-slip surface. This kit is specifically designed for those who are just beginning their fitness journey or are new to fitness hooping. The workout DVD features internationally recognized fitness trainer, Niece Pecenka, who has designed this proven workout program using low impact exercises to keep you motivated and having a blast while you tone and sculpt your entire body. As you can see, the hula hoop is in sections which are very easy to assemble. 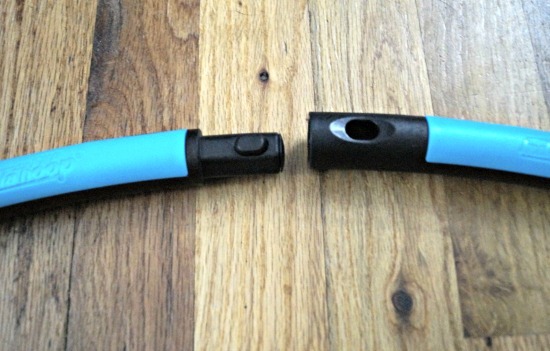 The Posi-Lock system keeps it firmly together while you are using it. It’s very sturdy and durable. When you first get your kit, I recommend that you spend some time practicing hula hooping before starting the workout DVD as it will require you to hoop a good chunk of the time and if you don’t have it down, you will keep dropping your hoop. There is more to it than hooping though, you will lift the hoop, stretch with the hoop and more. The workout DVD is no joke. It really gives you a good workout in just 15 minutes. FXP Fitness is not limited to just a workout DVD, but they also have trainers across the country. You can learn more about that here. Overall, I think this is a great way to work out when you don’t have a lot of time and it’s fun! I plan on using it a lot. 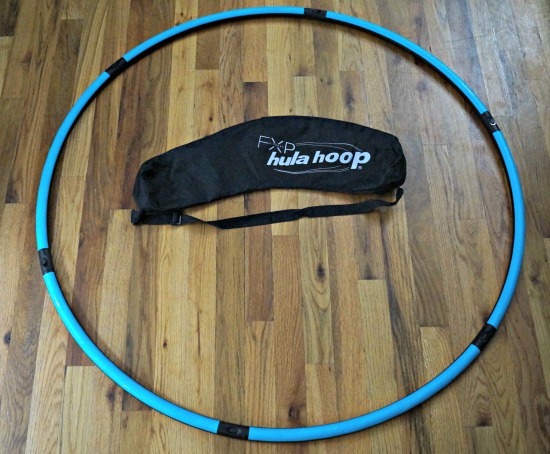 Buy it: If you’d like to try the FXP Fitness Hula Hoop, you can get them online. Just go here and click on SHOP. Win it: One of you will win an FXP Starter Kit of your own! Please enter through the Rafflecopter below. It may take 30 seconds or more to load. Interested in other Health & Wellness products? Be sure to check out my Health & Fitness Guide. Disclosure: I received free product as part of this review. All opinions stated are my own. This looks like fun! I haven’t hula hooped in ages! I used a hula hoop as a child and loved it. It would be great to try again! I was just a kid when I used a hula hoop and that was probably 40 some years ago. I haven’t used a hula hoop in a long time but always loved it. I have used a hula hoop, but not in more than 15 years! yes, I use to love using the hula hoop when I was younger!